Israel. The very word instantly conjures headlines and images. Yet, when it comes to understanding Israel, there is no substitute for first-hand experience. 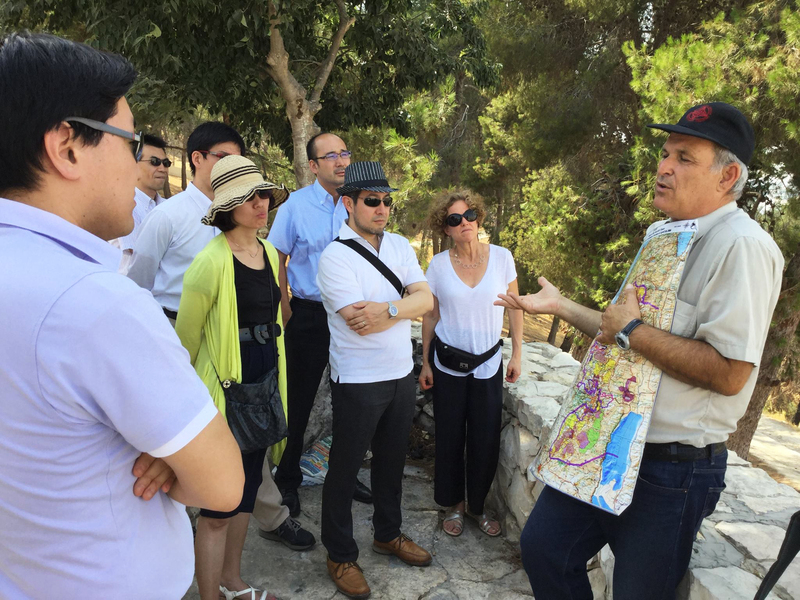 AJC Project Interchange is unmatched in bringing global decision-makers to Israel to learn about its reality and complexity for themselves. Government officials, university leaders, civic and religious leaders, and media elites are exposed to diverse perspectives from Israeli leaders shaping headlines, innovators driving the “Start Up Nation,” and experts who share best practices and insights on issues and challenges facing Israel and the world. Interactions with representatives of Israel’s vibrant, multifaceted society and open dialogue with Israeli and Palestinian leaders is key to our educational approach. Upon their return home, participants join the Project Interchange Alumni Network - 6,000 global leaders from all 50 U.S. states and 110 countries. In 2016, when German diplomat Felix Klein traveled to Israel with Project Interchange, he learned about the pernicious anti-Semitic boycott, divestment, and sanctions (BDS) campaign targeting the Jewish state. Upon his appointment as Germany’s first-ever special envoy for combating anti-Semitism, Klein declared he would help counter BDS since it “incites anti-Semitism in its methods and goals” and “should be condemned without qualifications”. The 2018 Startup Nation Conference recently hosted by The Idea Center at Miami-Dade College in collaboration with Tel Aviv University in Israel highlighted emerging innovations from local innovators and Israeli entrepreneurs in the high-tech industry. Israel’s chequered journey since its independence in 1948 notwithstanding, there are very few countries that qualify to be such natural allies for India. And there are several reasons for it.